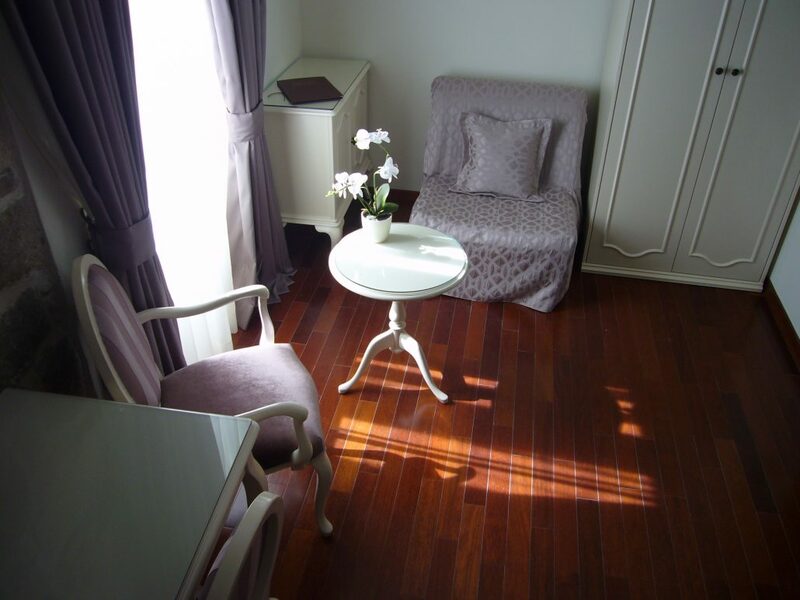 Economy room, smaller room, no view, window is higher on the wall. 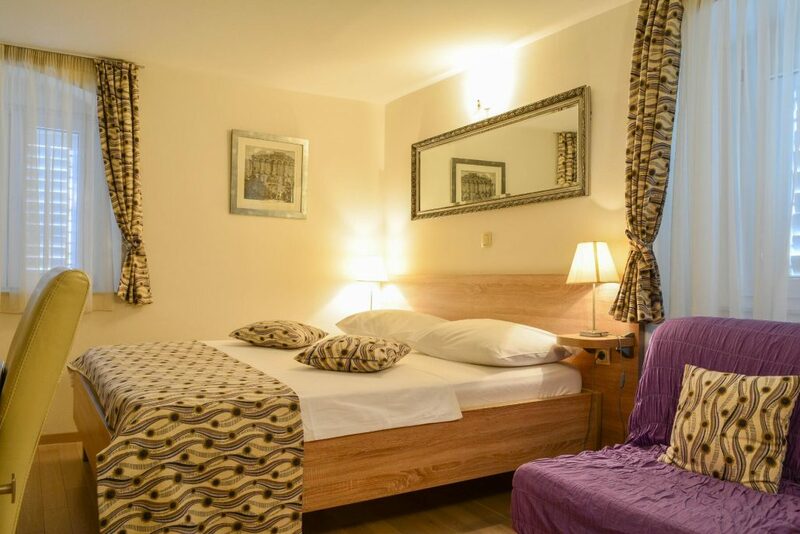 Extra beds are not available. 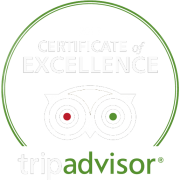 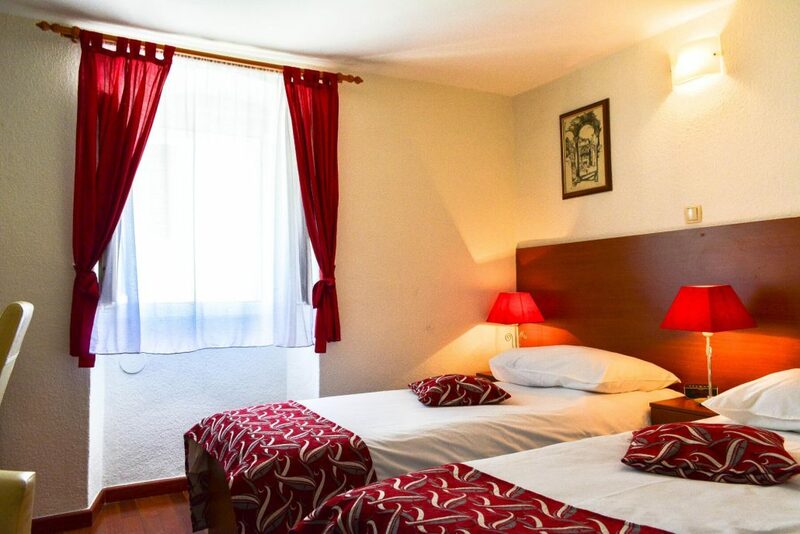 All rooms are air-conditioned with a flat-screen cable TV, a work desk and a private bathroom with a shower, hairdryer and free toiletries. 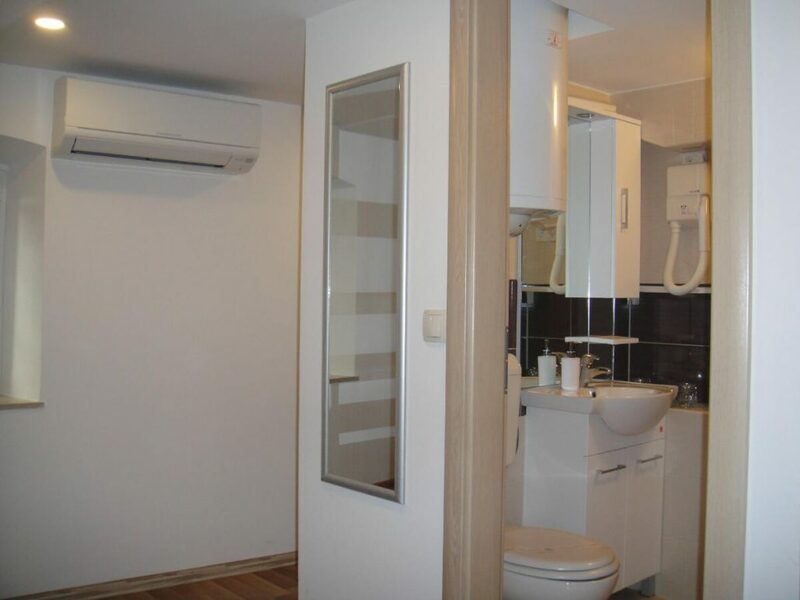 Featuring a minibar, an electric kettle and a safety box. 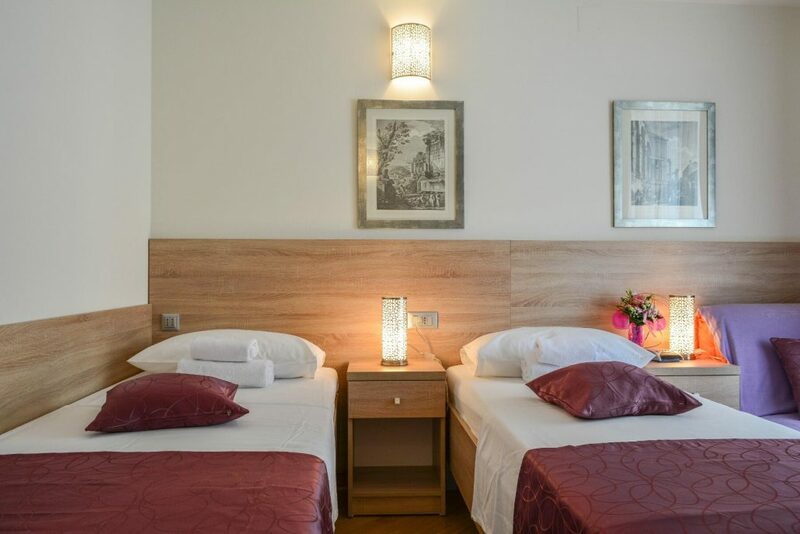 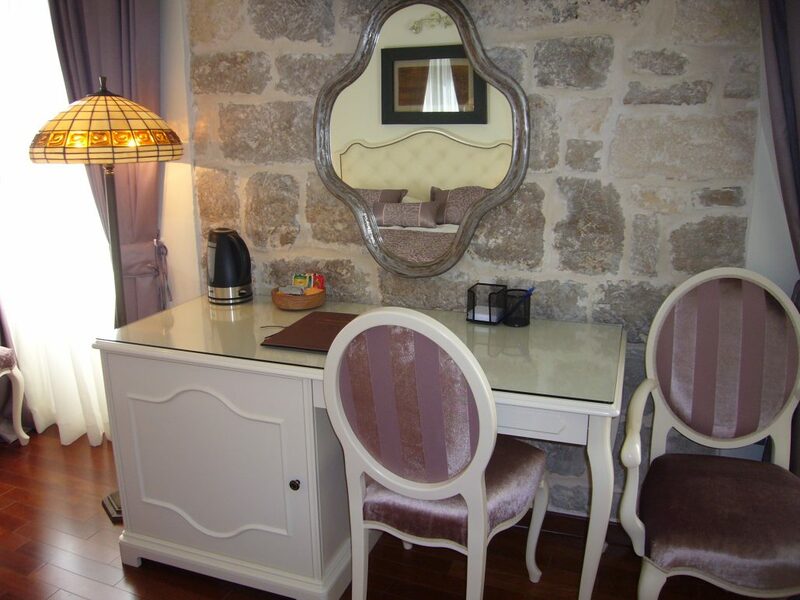 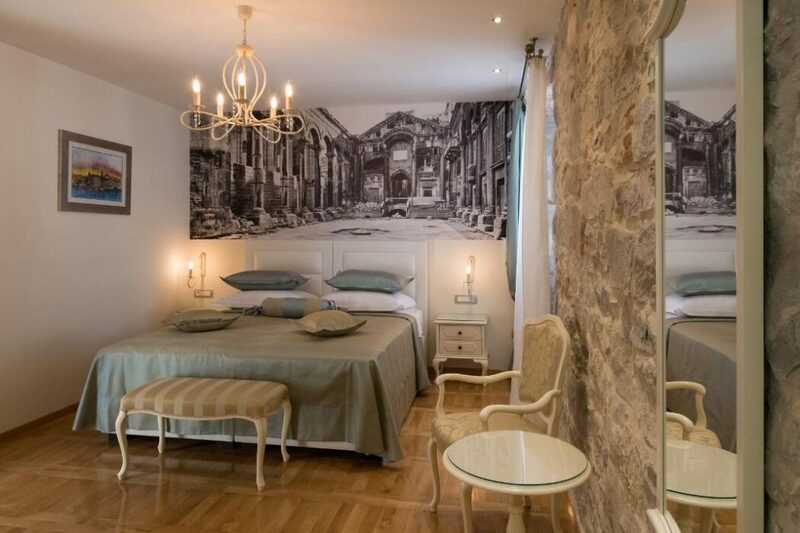 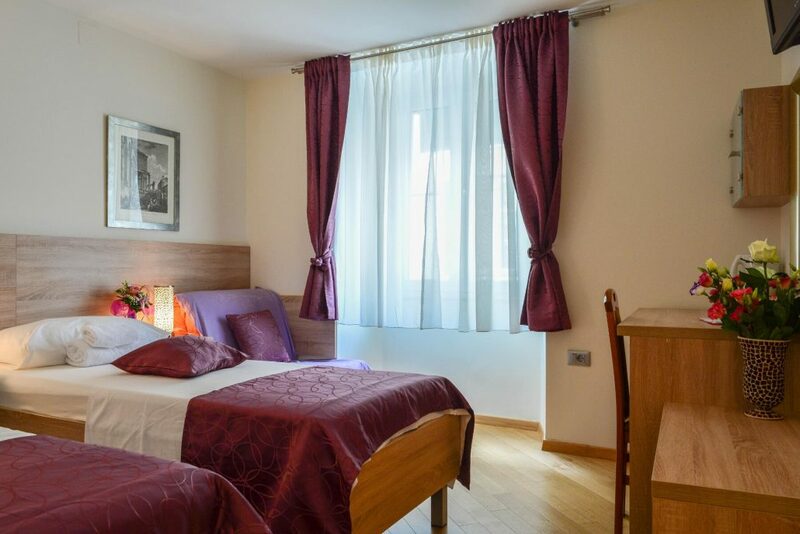 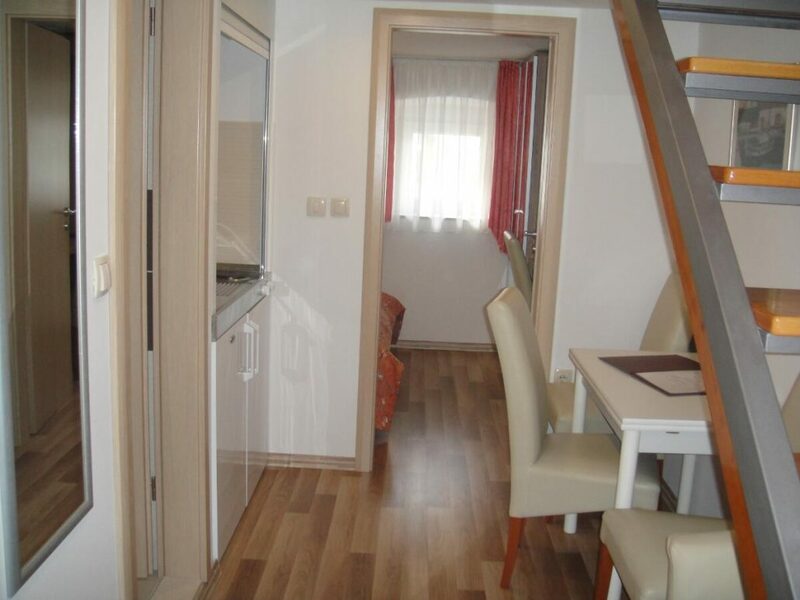 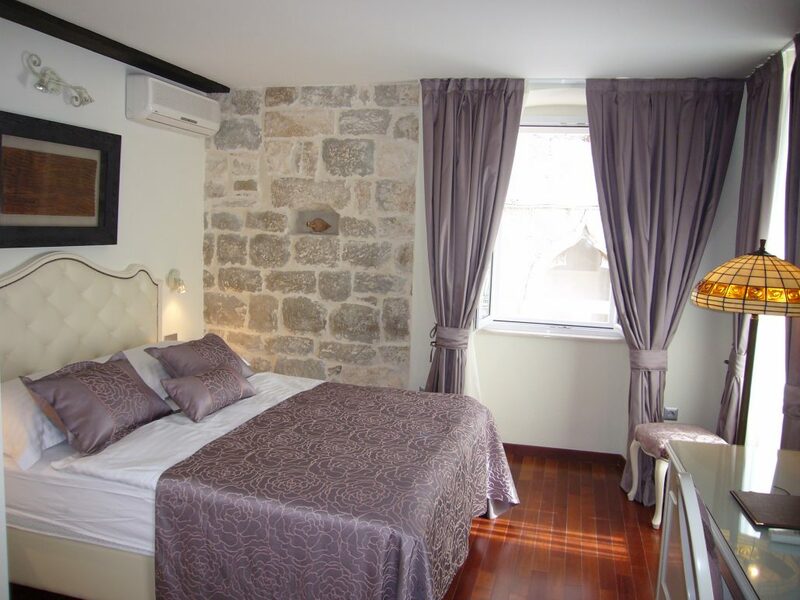 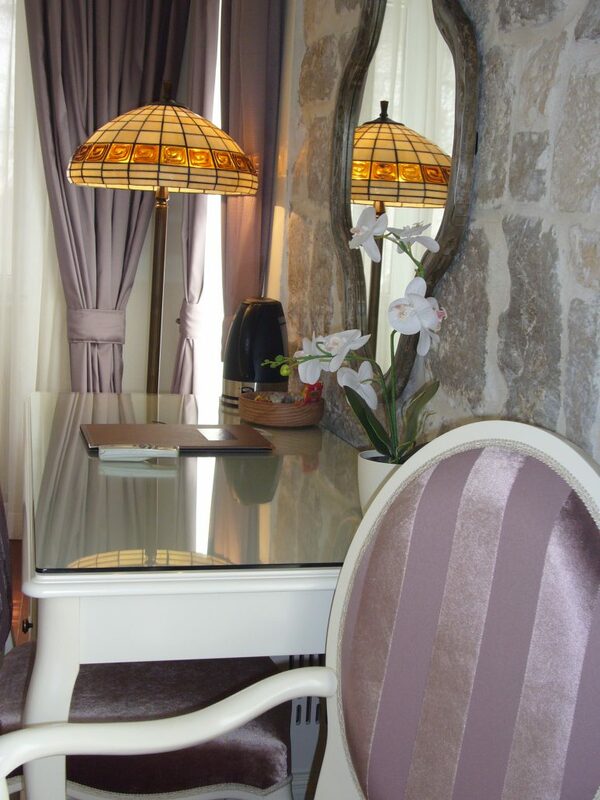 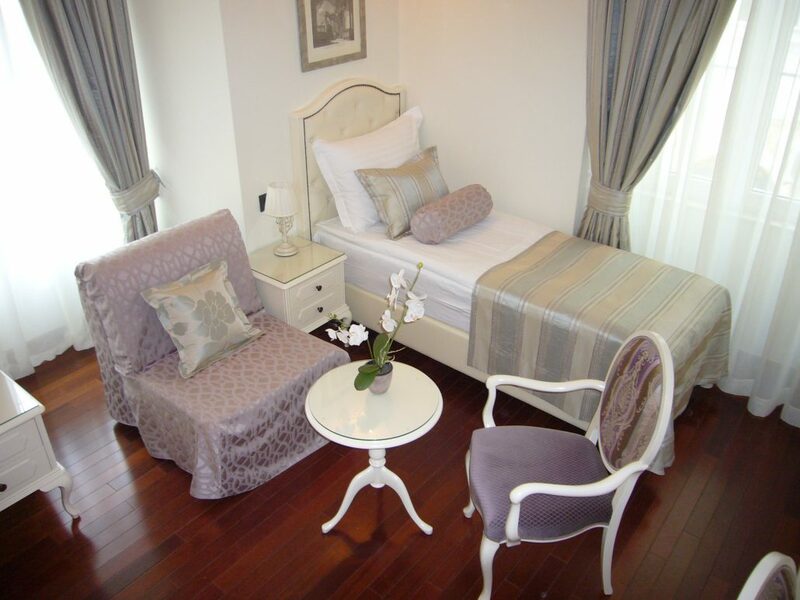 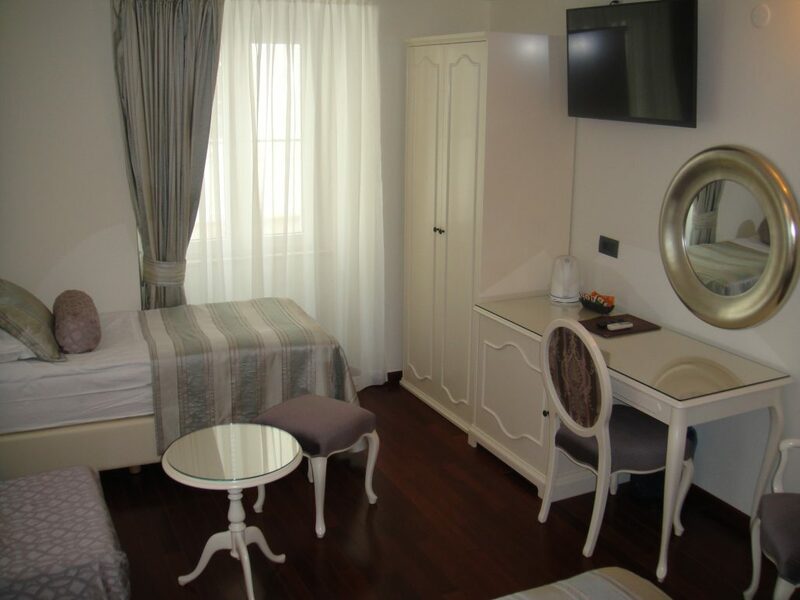 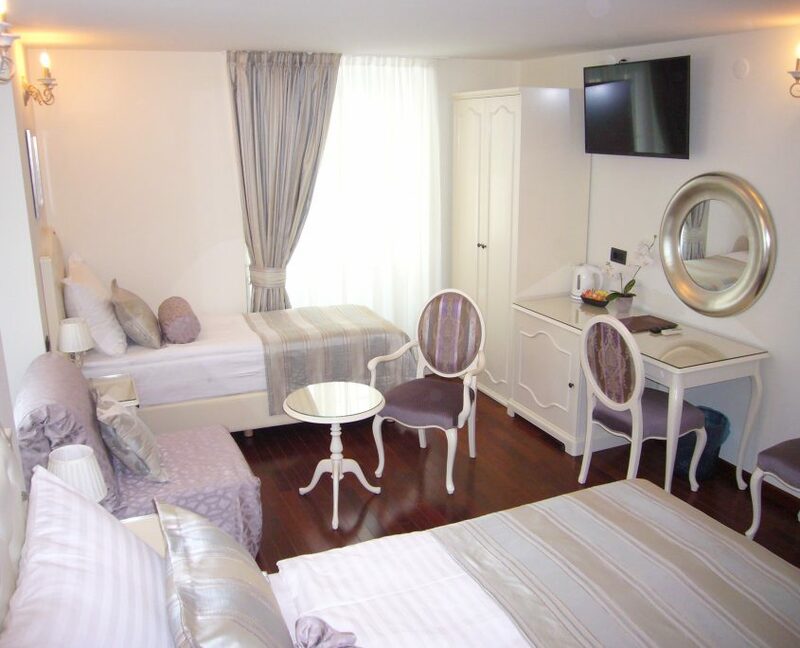 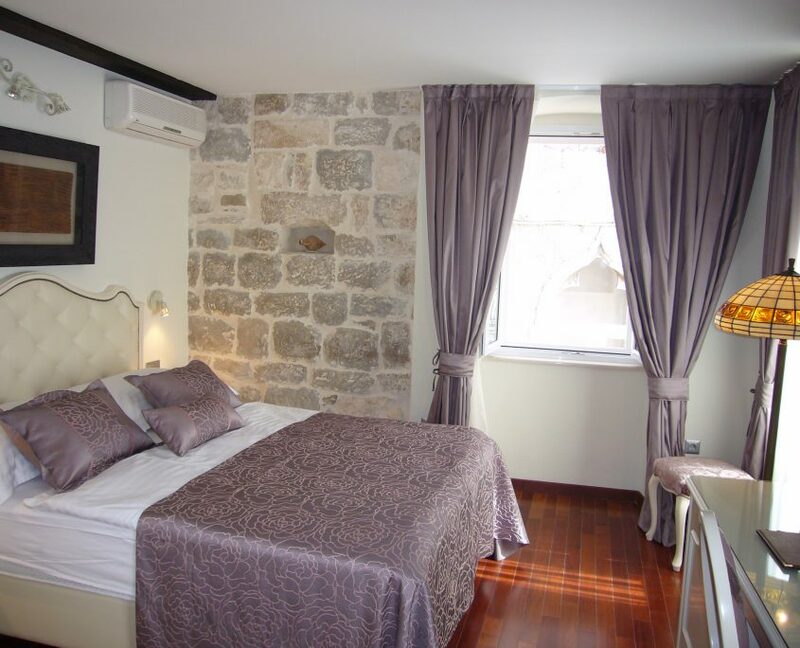 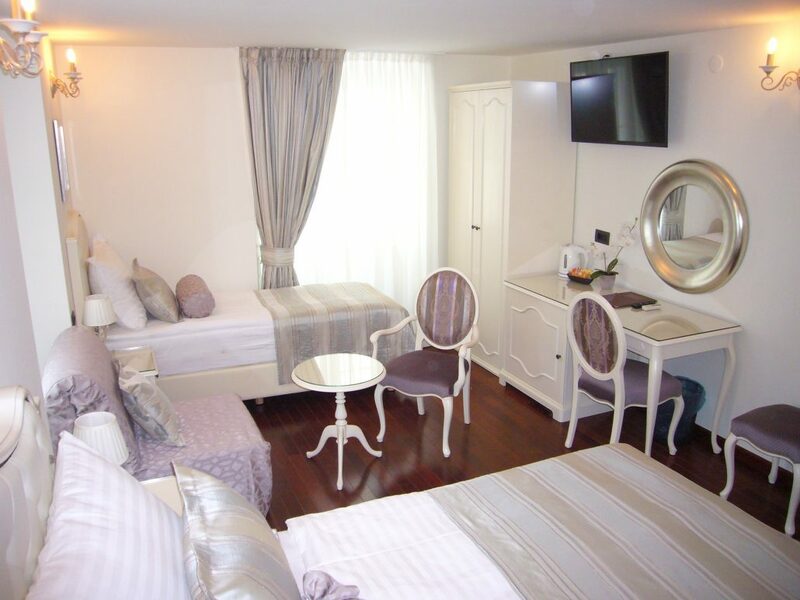 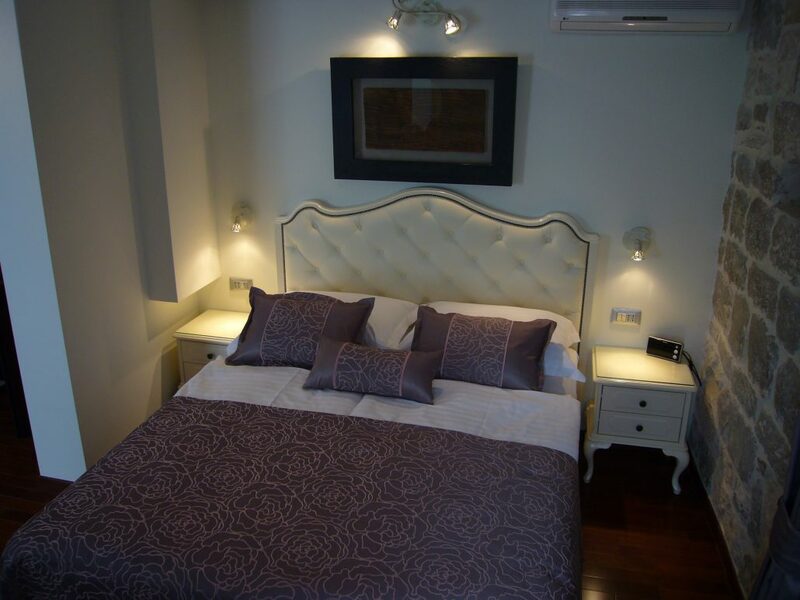 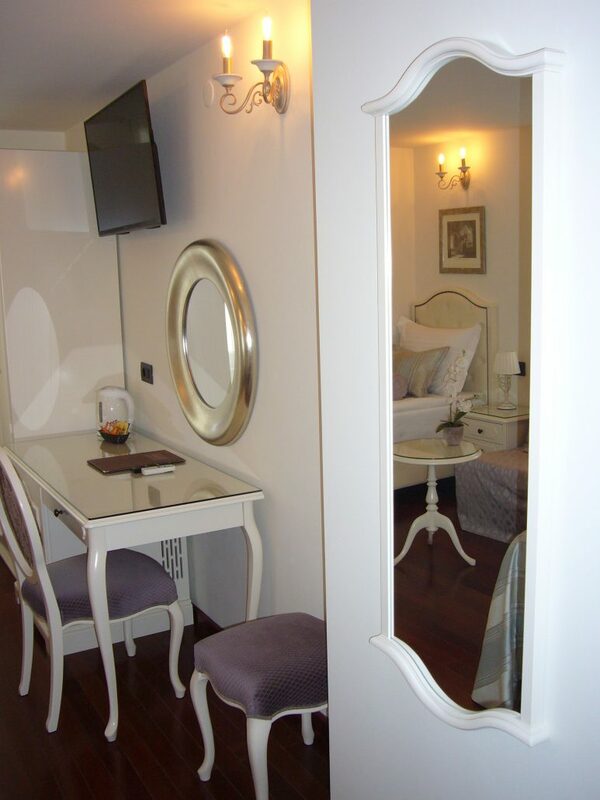 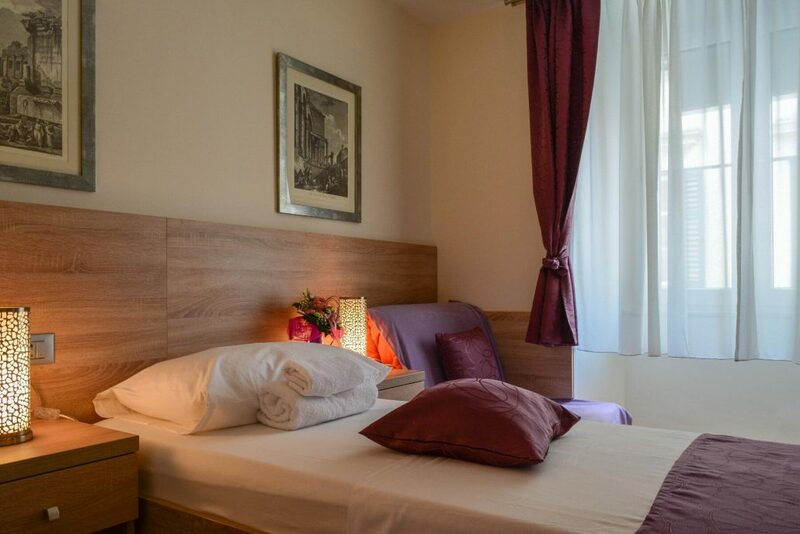 Double/Twin with city view, with beautiful view of the old town square and the medieval tower. 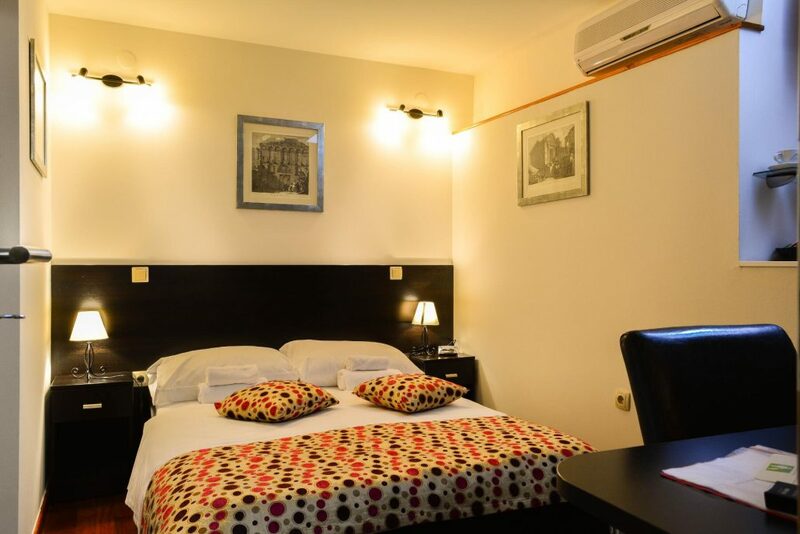 All rooms are air-conditioned with a flat-screen cable TV, a work desk and a private bathroom with a shower, hairdryer and free toiletries. 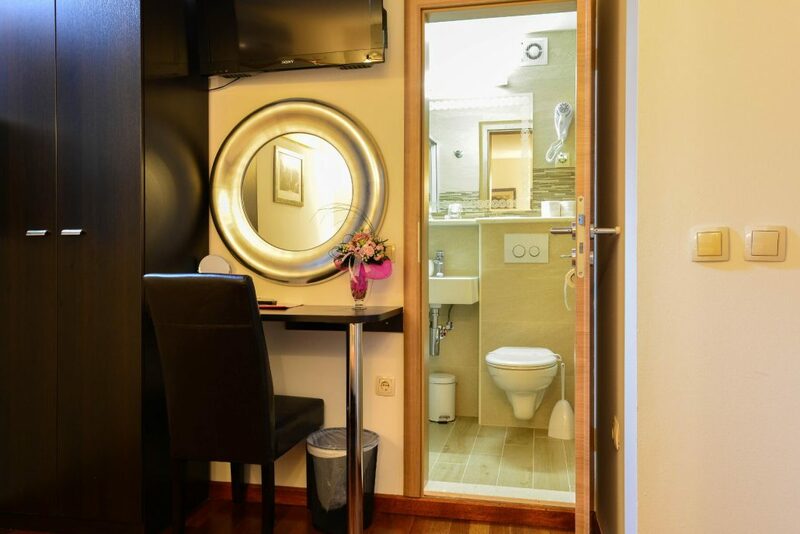 Featuring a minibar, an electric kettle and a safety box. 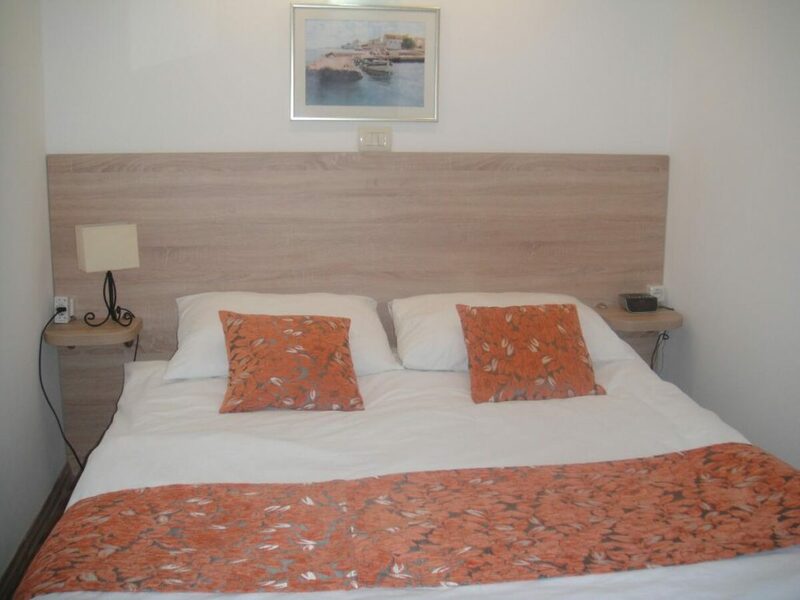 Extra bed is available. 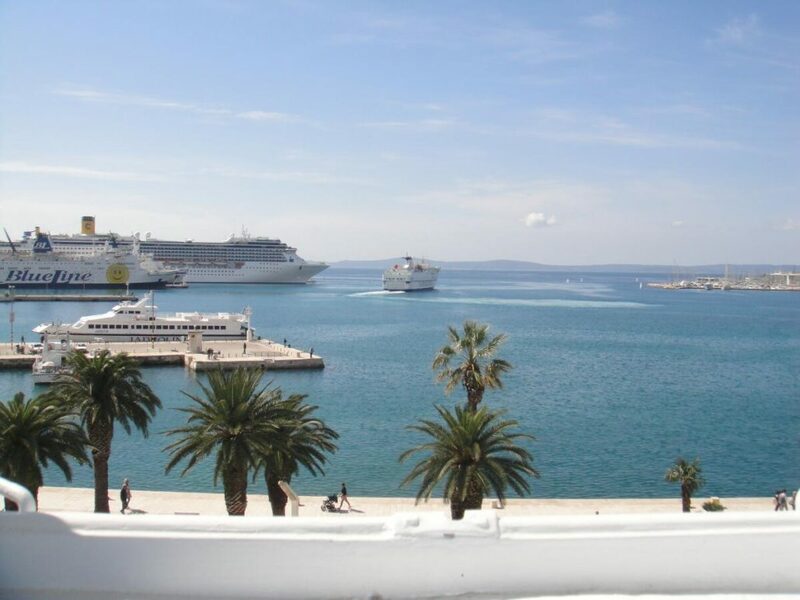 Double with sea view, stunning view of the main promenade, sea and islands. 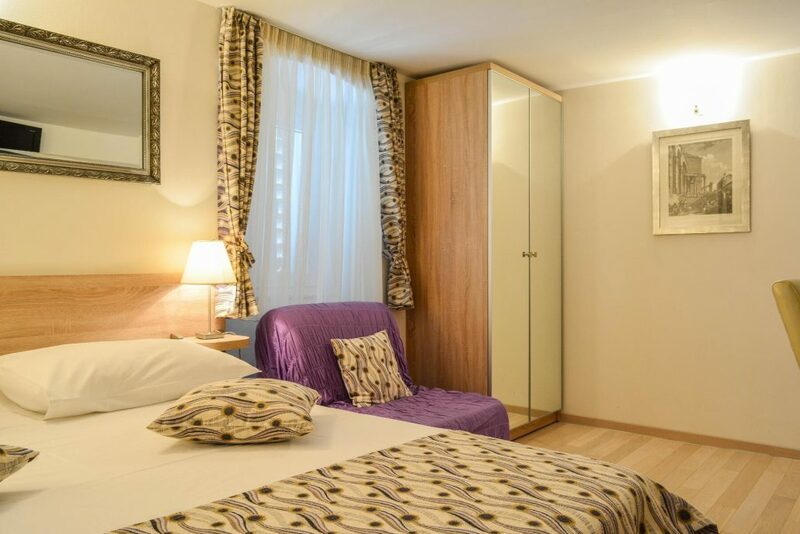 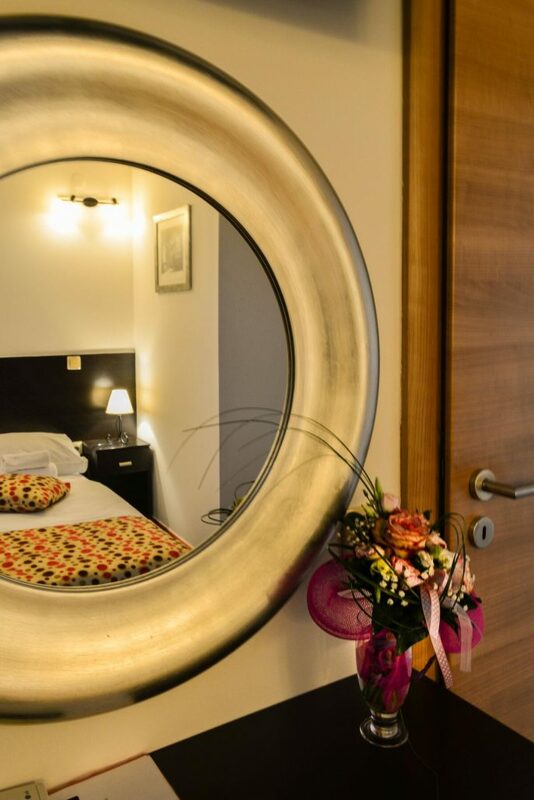 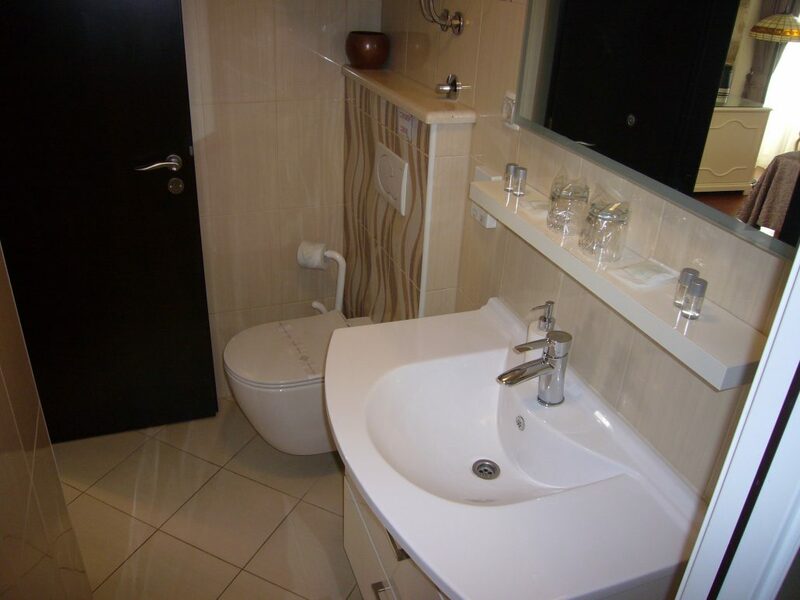 Luxury room city view – depadance, at a very top center of the city center. 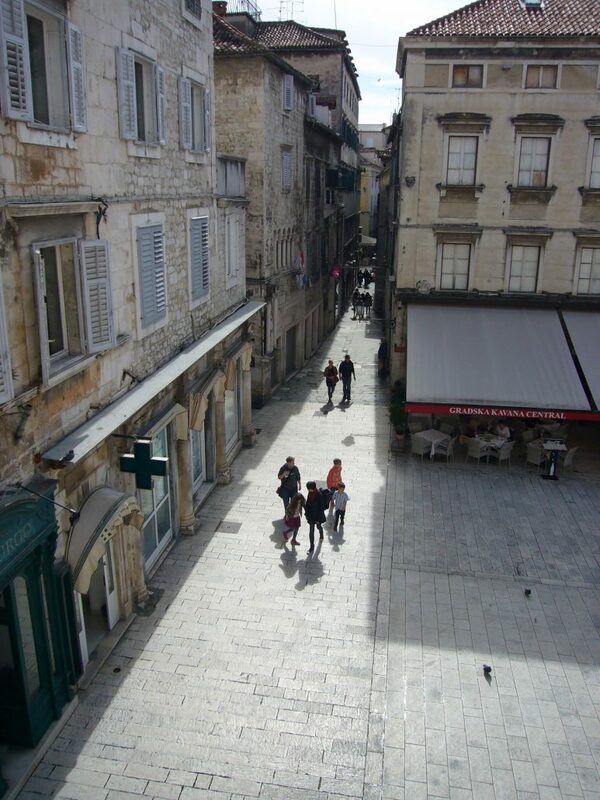 A few steps from main town square, Peristil and Catheedral. 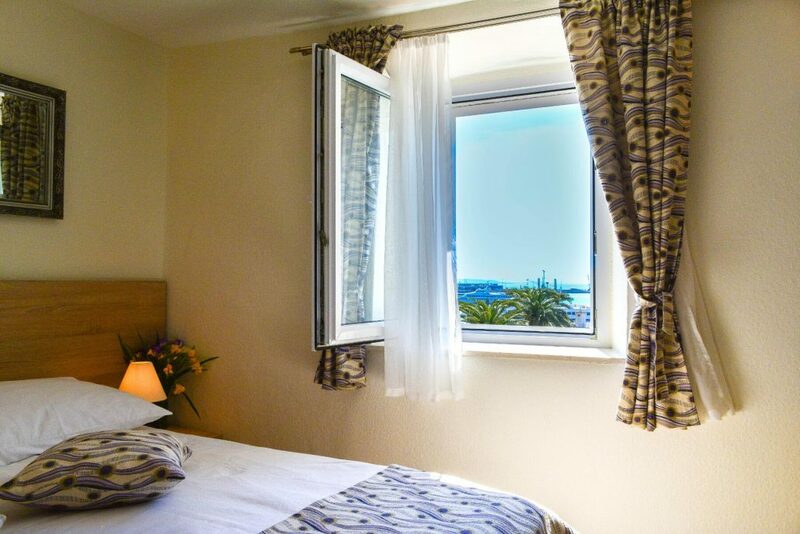 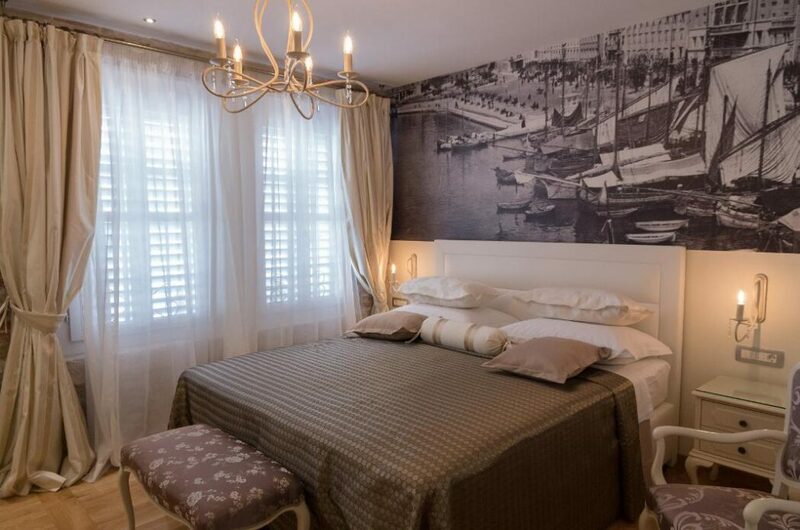 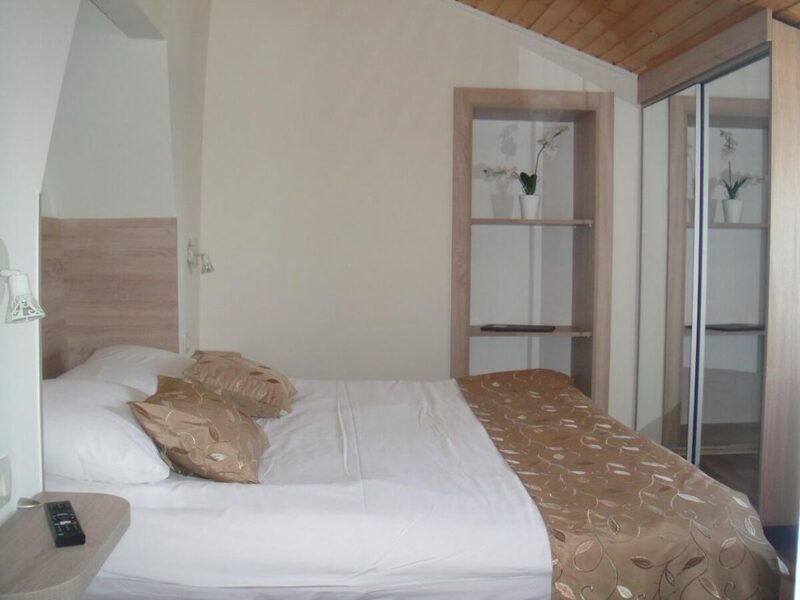 Triple room with sea view, one double and one single bed, with hardwood floors features, a seating area, stunning view of the main promenade, sea and islands. 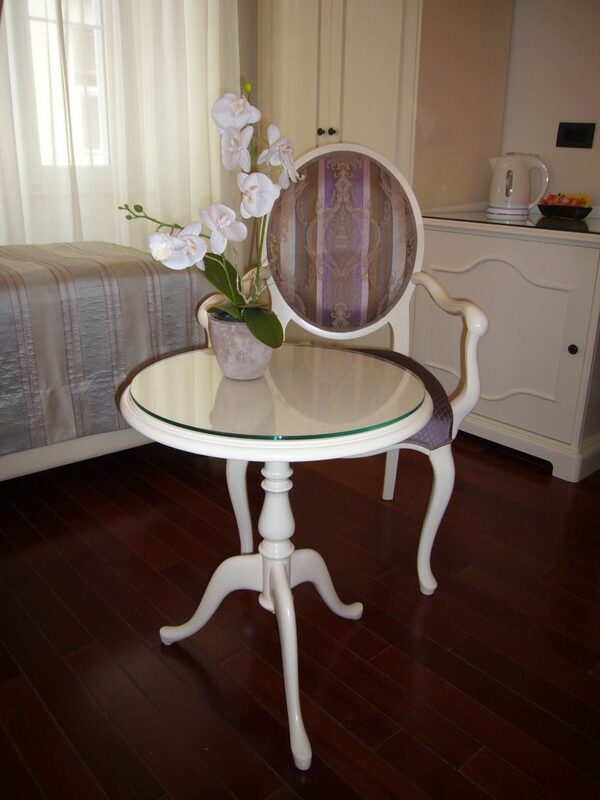 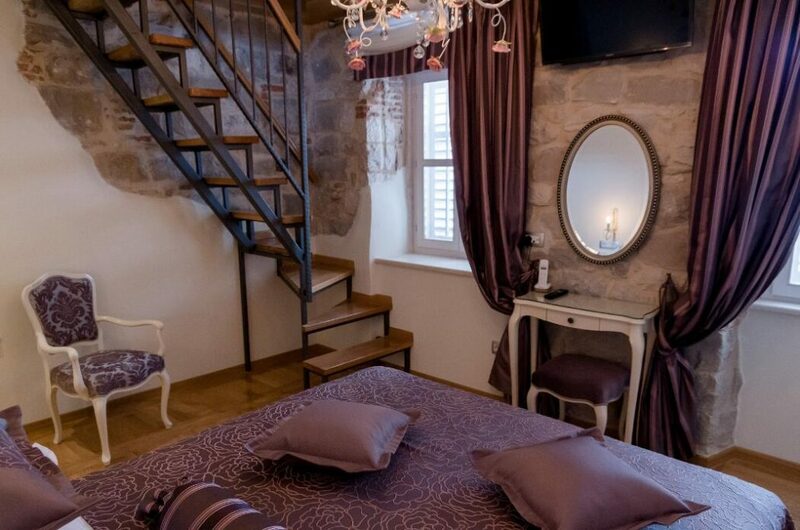 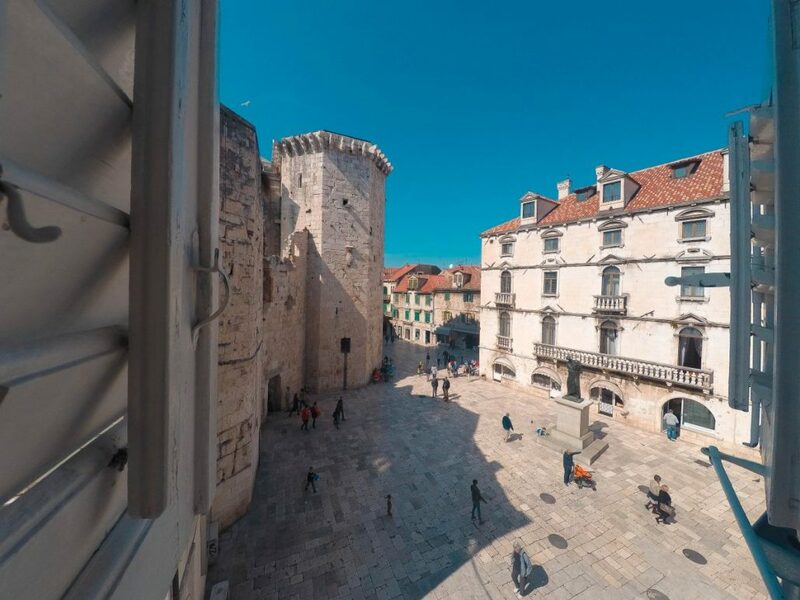 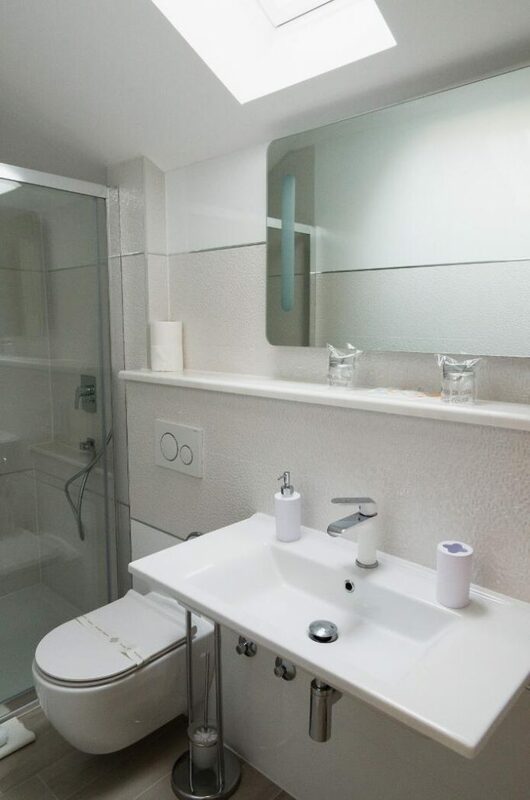 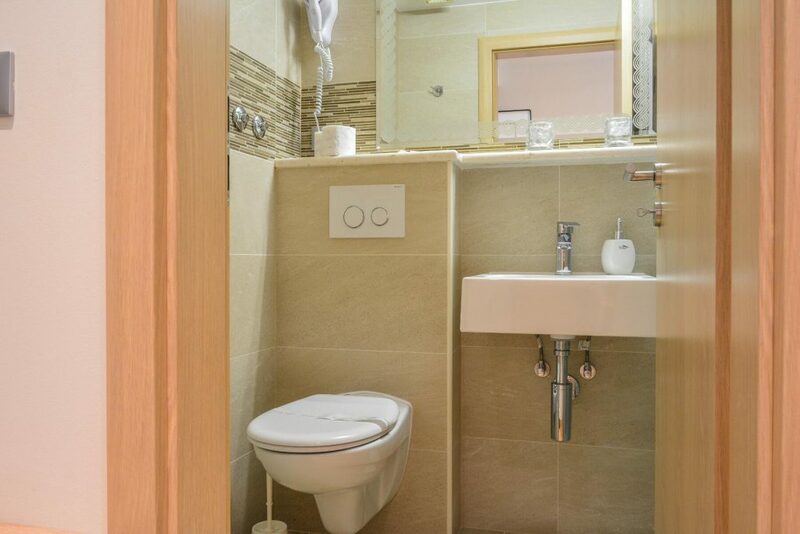 Two bedroom apartment with city view, one double room and one twin, kitchenette, beautiful view of the old town square and the medieval tower. 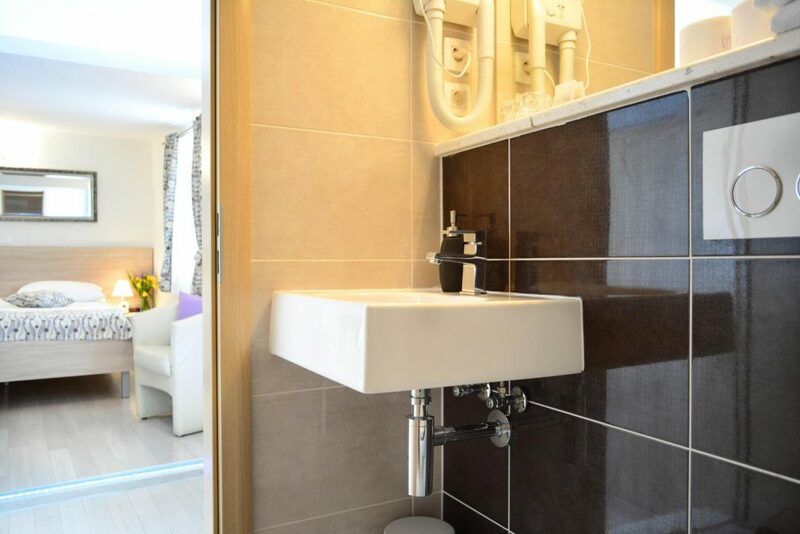 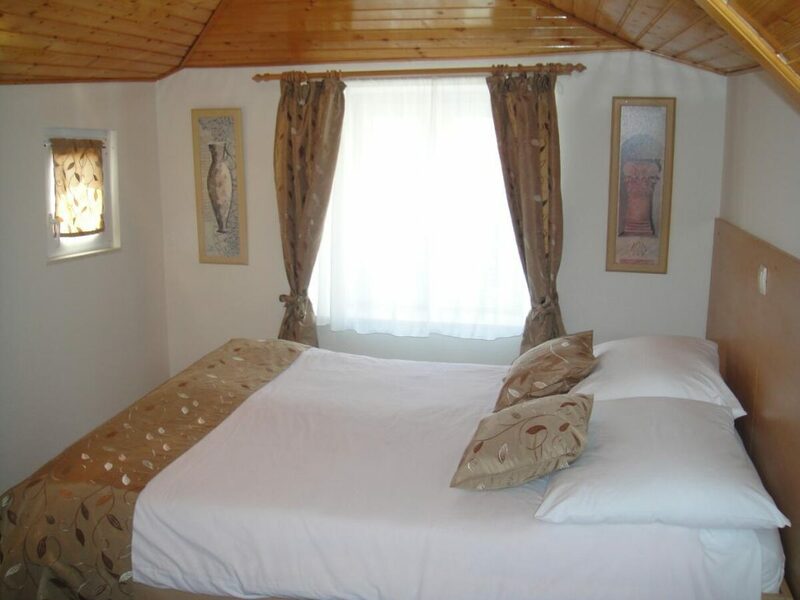 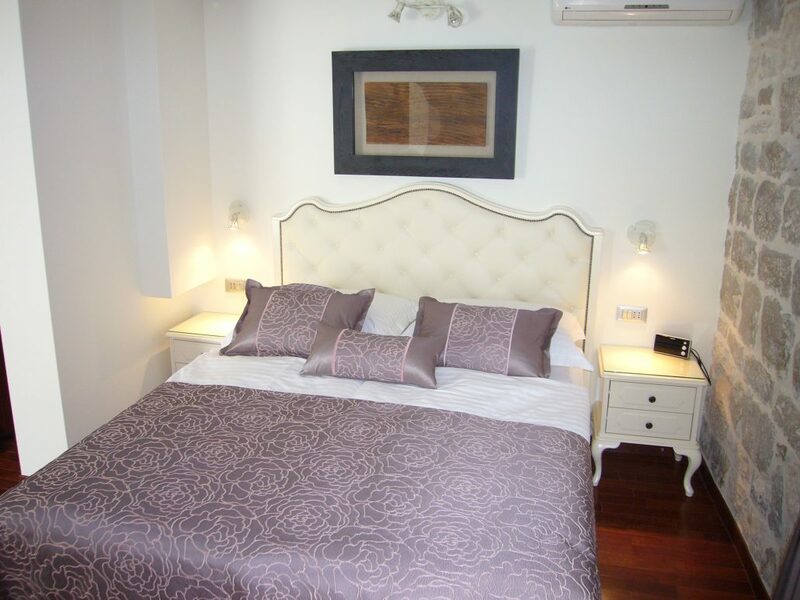 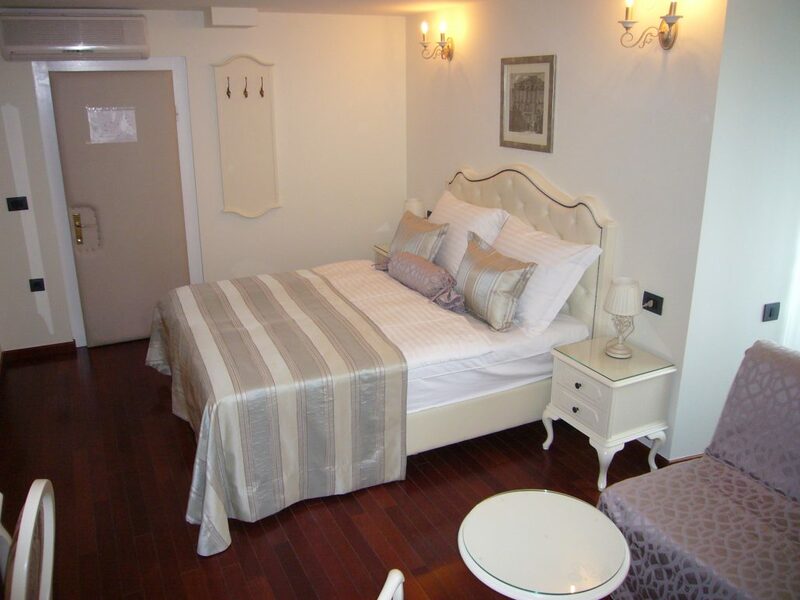 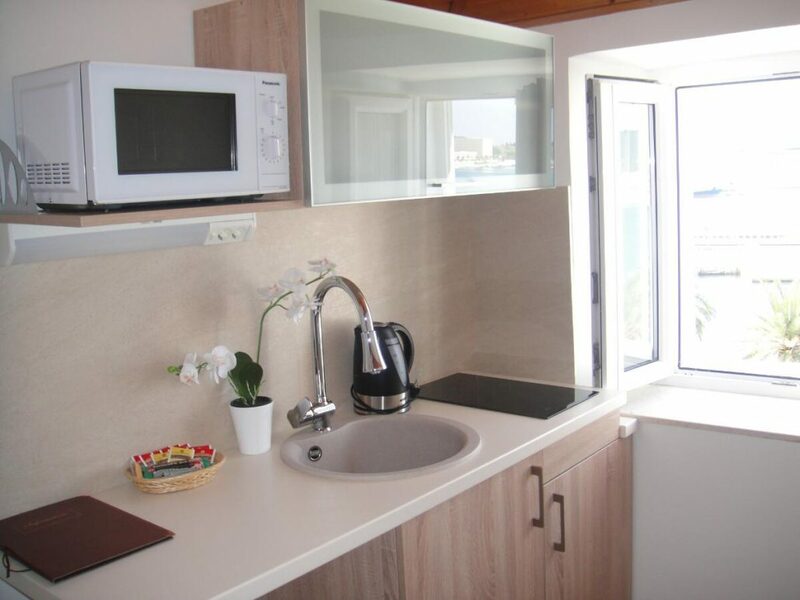 Two bedroom apartment with sea view, both double beds, kitchenette. 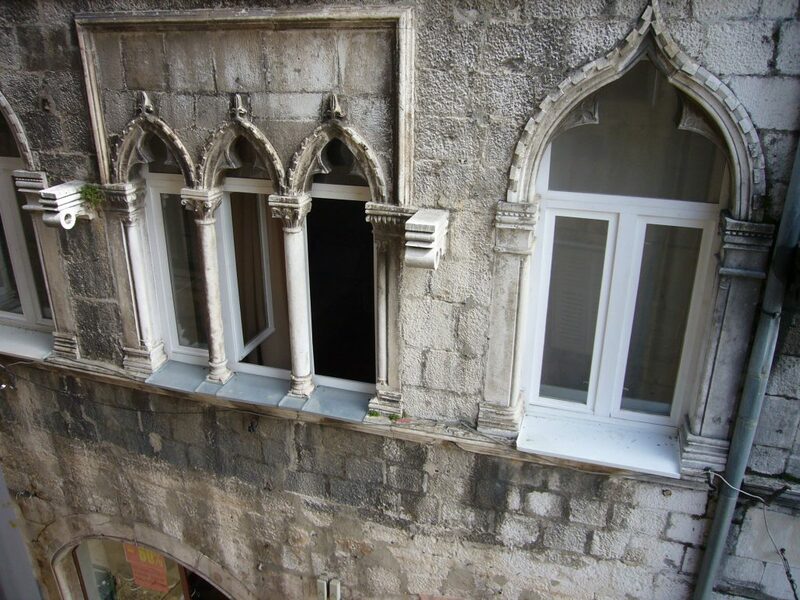 Apartment is on the 4th floor available only with stairs. 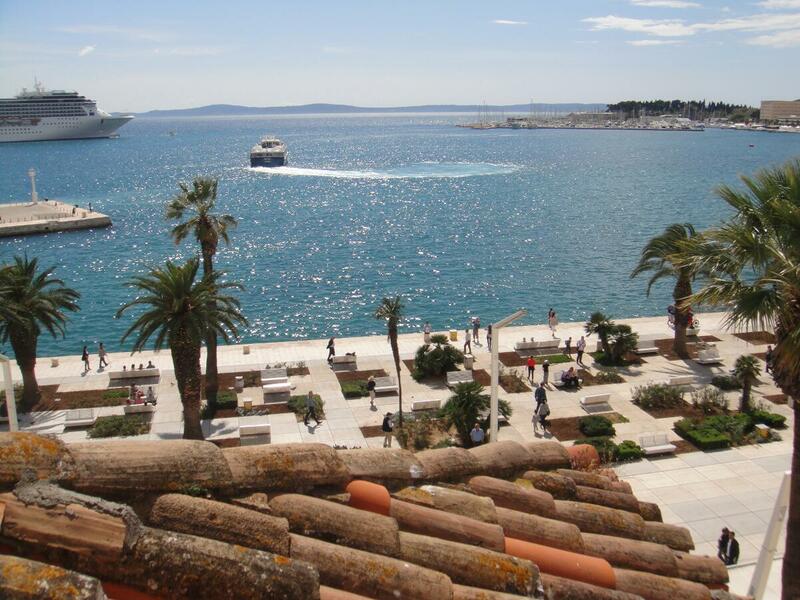 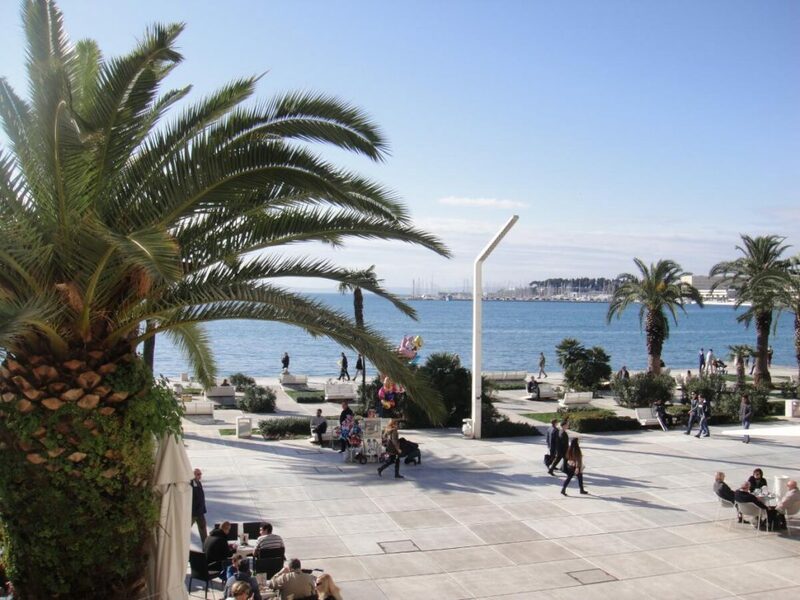 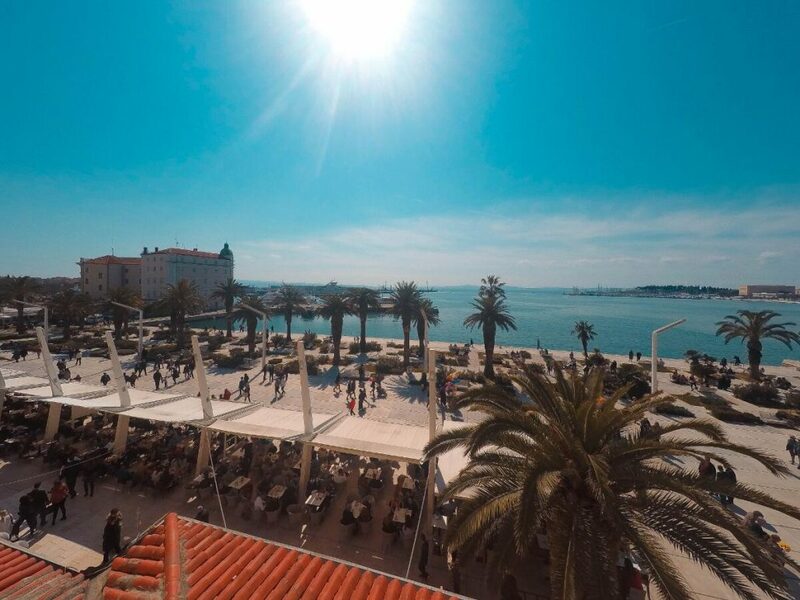 Stunning view of the main promenade, sea and islands.